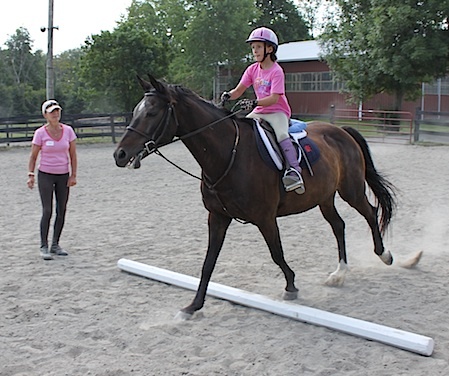 Summer Riding Camp for Kids! Come make memories of a lifetime! 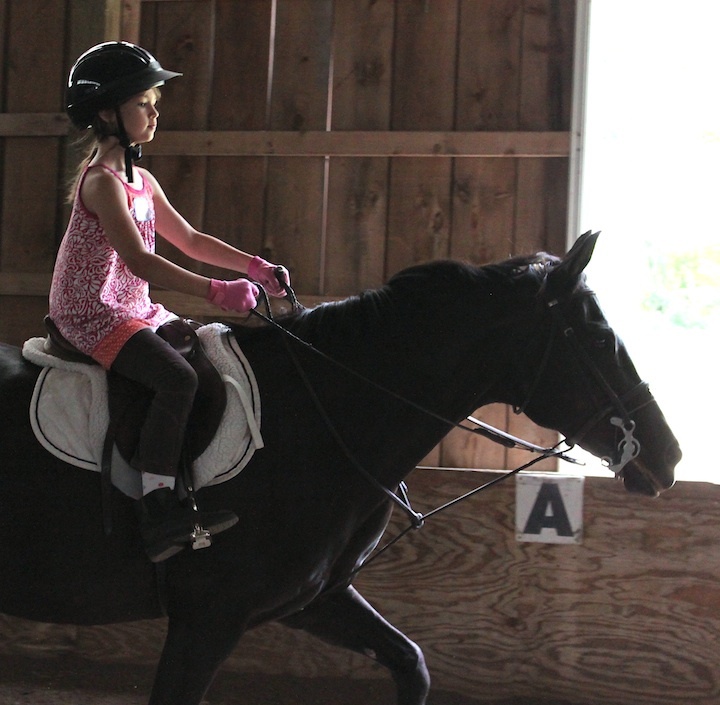 Children with any level of riding experience are welcome, from complete beginner to advanced rider. Campers will receive instruction on riding and the care and handling of horses, with an emphasis on safety, good horsemanship and having fun! 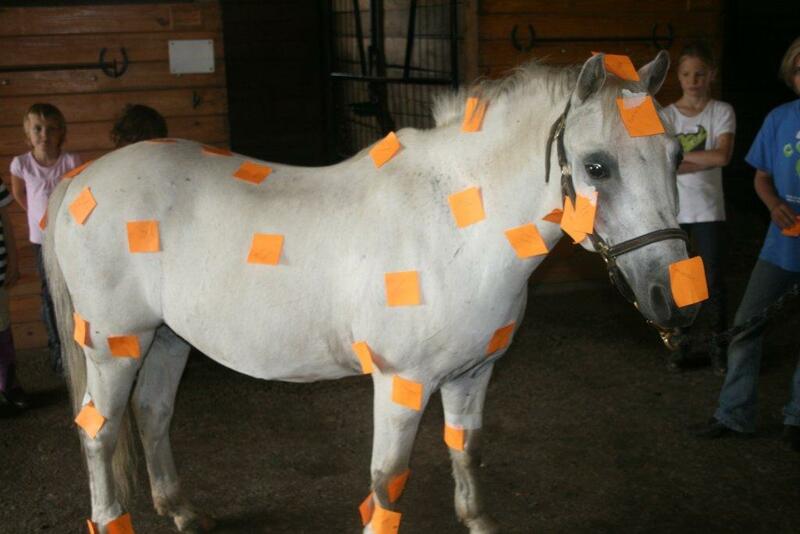 We have a number of seasoned, well-trained ponies and horses. Riders will be paired with horses according to their abilities and equestrian goals. For beginners the focus will be learning balance and building confidence, while more advanced riders will work on refining their riding and showing skills. Each day will also include games on horseback, instruction on riding equipment, horsey crafts and activities, and plenty of opportunity to groom and bond with our special horses. Additional private instruction is available (for a fee) for any student wishing to extend and maximize their camp experience. Campers should come dressed appropriately for the weather and riding; e.g. tapered jeans/pants or riding breeches, boots or a solid shoe with a low heel and flat sole (please, no cowboy boots). Please send a lunch with your child. Beverages and cookies will be provided. The outside activity will create ravenous appetites! Call or Email us for more details or to sign up! To reserve a spot for a camp session you must submit a completed Camp Application for each child, and a $150 non-refundable deposit for each session you'd like your child/children to attend. You may mail or drop the application off at the farm with a check for deposit payment, or pay with PayPal below (+ $5 fee) and email, mail or drop off the completed application.